Burglary attempts happen a lot – in the US every 13 seconds, probably because there aren’t as easy as the others. Either way, it’s quite apparent why surveillance cameras were invented. So we want to discuss the effects of security cameras on the current crime rate. You must have come across several blogs talking about modern security cameras, how good they are and why you must invest in them. There is no doubt they are right and prevent thieves. But as the statistics show, burglaries still take place. 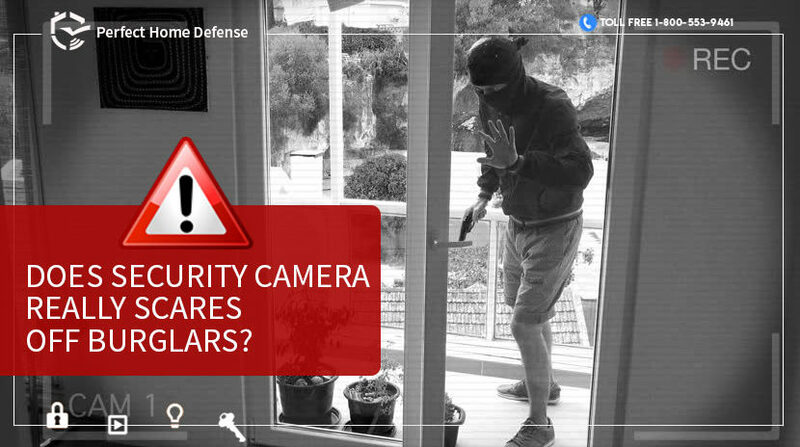 Let’s see it from a burglar’s perspective, what they think about surveillance cameras. Do they work as deterrents? Do they make a change? Peter Woolf is a habitual burglar, from the age of 14 he has been stealing until he was caught in the actin 2002 and he chose to improve. Here is what Peter has to say, there are two different types of burglars. A professional burglar and a rookie. A professional burglar is not your ordinary thief, and he will not target you and me. The professional burglar has a different approach he selects his targets; he does complete research on that person, when he sleeps, where he goes, who lives with him, who has access to the house other than him. A CCTV camera doesn’t scare a professional burglar if he knows you have got something that he wants, he will get it. The chances of him getting caught are trivial unless he makes a stupid mistake. Professional burglars are less these days. Most cases of a burglary reported are those people who are drug addicts or alcoholics, this kind of thieves doesn’t care about getting caught or landing in jail. And such thieves can be prevented. According to Woolf, it’s not about scaring them off; it just puts them off. Once they see a surveillance camera outside a house, they put off from that place and move on to the next one. Good security always puts them off. You go near a door, and you feel the sensors there, or you walk up the driveway and “Say cheese, you are on CCTV”, yes that stops them in tracks, the outdoor surveillance camera is a useful security measure and has positive impacts on the street crime rate. According to research property crimes, particularly burglaries went down to 23% within 100 feet of cameras but remained the same further. With the modern home security cameras, you have got all the evidence at hand; you don’t have to wait for the traditional alarm to go off and wait for the police to come by then your burglar is GONE. A smart surveillance camera will put off the burglar who comes typically with the intent of grabbing quickly and running away. Before entering the house the look in from the window and find a spot to start from and then run upstairs to check for any jewelry or other valuables. In under a minute they have grabbed everything they can sell. Get a dog; there is nothing more in the world than the sound of a Pitbull or a look of Rottweiler that SCARES a burglar. Make sure you have got a right door. Usually, burglars kick the doors so the frame must be sturdy. Keep the garden hedges cut low, so there are witnesses of a potential robbery. To end it all Woolf said if you want to know how to protect your home just put your keys in the car and lock yourself out. You will figure out ways of how to get in, and that’s when you will start thinking like a burglar.